SWFBUD has been asking the city of Tampa for more sharrows in the city - and today I noticed new sharrows on North Blvd. north of Columbus Avenue. Great to see them. Thank you city of Tampa -- Jean Dorzbeck, city transportation director and John Marsh, the city staffer who attends lots of meetings where bicycle-ped issues are discussed. Thank you SWFBUD bike shop store Carrollwood Bicycle Emporium for putting on a cool bike ride this morning to honor the last day of the Tour de France. CBE has been holding fun Tour rides the past few years and today's ride drew about 80 riders as no less than four differemt groups of about 20 cyclists each pedaled from the CBE store on North Dale Mabry Highway to downtown Safety Harbor and back -- a nice 40-miler. CBE owner Brian Eckman and his lovely wife Jackie had snacks, sodas and beers ready back at the store and the Roasted Pheasant Bistro partnered with CBE to offer free snack foods only a few storefronts away. It was a wonderful morning of cycling as I biked with my two Seminole Heights pals, Doug and Nick, to CBE and saw some bike friends like big Manny and Michael Edgerly for the ride and made new friends, too. On the way back, it was cool to bike with Michael Edgerly of Westchase and David of Trinity, who biked in a single gear the whole way because his gear shifter was not working. Thank you Chef Peter at the Roasted Pheasant Bistro, who provided free snacks and mimosas near CBE. SWFBUD is happy to report that we have our furst two vendors for the 2011 Bicycle Bash festival at Flatwoods on NOV 6: Boston Bill Sunglasses and Boomer's Bents and Bikes. Visit a SWFBUD bicycle store in Tampa Bay and thank them for supporting bicycle advocacy! 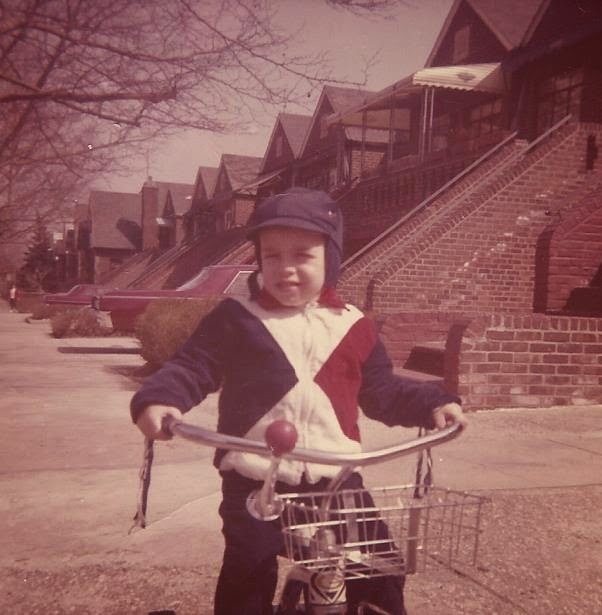 Contact Alan Snel at alansnel@yahoo.com if you want to be a Bicycle Bash festival vendor. You just witnessed one of the few paved sections along the Bypass Canal. SWFBUD wants the entire 14-mile public right-of-way stretch along the Bypass Canal -- which is operated by Southwest Florida Water Management District -- to have a paved trail just like the one you just saw. The Bypass Canal Trail is just ONE segment of a multi-trail unified network of paved trails that SWFBUD is proposing for Hillsborough County. This evening, I was joined by Jason Wilson and Nereia Cormier on a bike ride along the Bypass Canal from south of I-4 to State Road 60. SWFBUD believes this unified trail network can be blended into a comprehensive bicycle infrastructure system that also includes intersecting roads with bike lanes. The Bypass Canal Trail runs from State Road 60 all the way to New Tampa. Most of the bikeable area along the canal is like this -- grassy. Unfortunately, this public trail has too many points where access is discouraged. Like these two spots. The Bypass Canal Park is one access point. This is exactly what SWFBUD is asking for -- a paved trail along the canal. What a great ride. This section is adjacent to the Bypass Canal Trail Park. Unfortunately, not much of the right-of-way along the canal is paved. The vast majority is grass -- and in some places, knee-high grass. This is the one road we were able to go under. Most time we go to the surface road, cross it and return to the canal right-of-way. It's a lot of grass to bike through. On the way to SR 60. Barbed wire mounted across the opening in the fence -- not exactly inviting. The three of us at State Road 60. Rick Fidanzato, owner of SWFBUD stores ABC Bicycles and Trek Store of St. Petersburg, sent me this email from a customer regarding an incident that involved a bicyclist getting mugged, injured and having his bike stolen from him while biking on the Pinellas Trail near 24th Street South between Tropicana Field and Gibbs High School. Be alert and be careful in that area. I contacted the city of St. Petersburg regarding this case and safety along the Pinellas Trail. 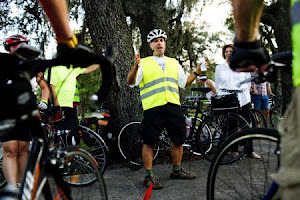 Just wanted to give you guys a "head's up" regarding bike safety on the Pinellas Trail. About two weeks ago, my partner was riding his 28" Trek on the Pinellas Trail where he does his usual 10-mile up-and-back starting at about 24th Street South and the Trail around 6:00 pm. He was attacked/mugged by one or more unknown assailants who punched him in the eye causing him to fall off of his bike. He now has a massive concussion, a black eye, bruising and road rash down one full side of his body. The attackers took his bike and his iPhone which was attached in a pouch under his seat (which I had bought from ABC!). 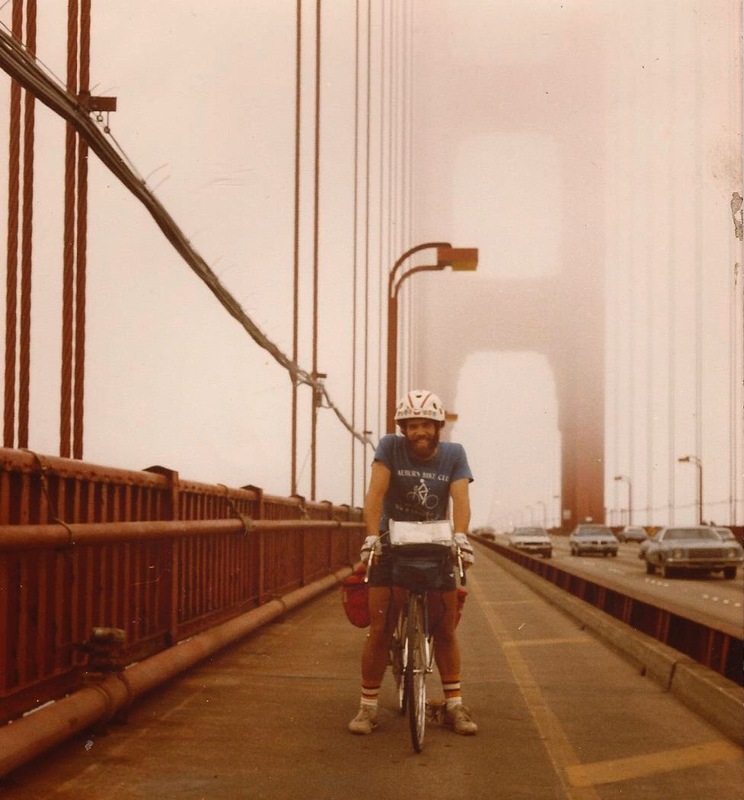 Unfortunately, he has no memory of the incident because he has suffered a 6-hour memory loss between the time before he left the house on his ride until he was transported home from the hospital late that evening. He has no memory of the attack, the ambulance or the hospital. Although he's pretty banged up, the doctors say he will heal, though the concussion symptoms will last for quite a while due to their severity. 1. He was wearing his bike helmet, which literally saved his life. He must have hit his head pretty hard because the helmet cracked. We were probably looking at a guy in a coma if he hadn't been wearing it. 2. He was wearing a medical ID bracelet, which had an emergency # in it (his sister's). This was a major thing because when the ambulance got to him, he didn't know who he was or where he lived. Yeah, the concussion was that bad. 3. 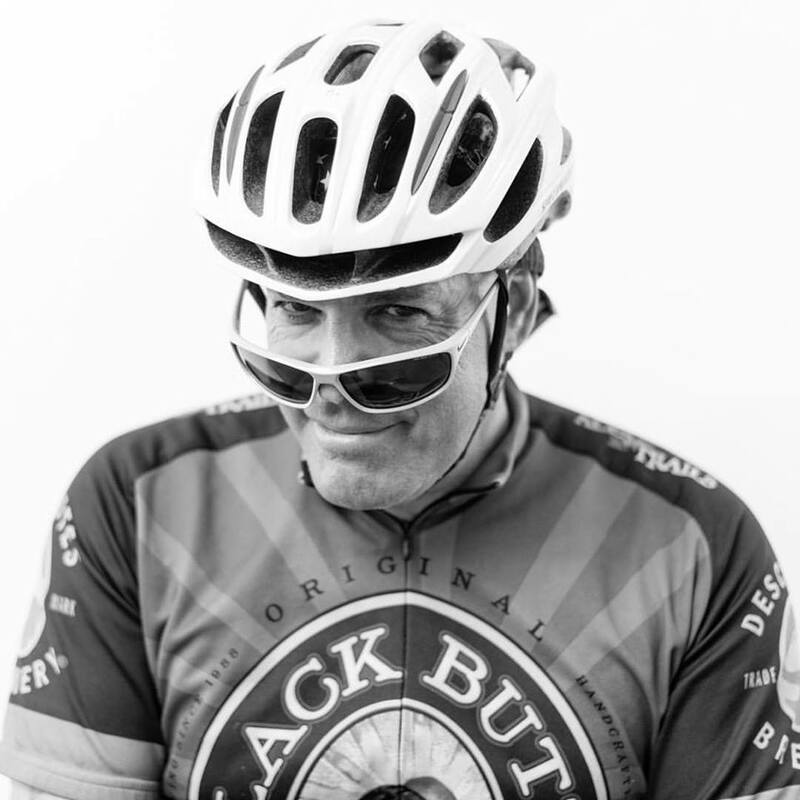 My partner is 6'3" and weighs 225lbs and he rides FAST on the Trail. If a guy that big can get knocked from his bike, then it can happen to anyone. I used to think the Trail was "safe," but I'm changing my tune. The more we dug into incidents happening on the Trail it looks like the m.o. for these guys is to ride two-on-one-bike and then attack from behind with the extra guy taking the bike and riding off. We think the attack took place around 24th Street S. and the Trail, because that is where the ambulance arrived. We still don't know if Jim was attacked, and he walked to get help, or if someone found him there. In any event, the area between Tropicana Field and Gibbs has a lot of teenagers just hanging out, so best to tell your customers to stay aware. Unfortunately, this is the second bike that's been stolen from him in 6 months. 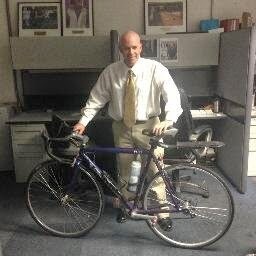 His first bike was stolen outside the library at USF-St.Pete: yes, it had an excellent lock (from ABC) on it! At this point, we'll probably just be sharing my bike because the expense of two lost bikes in such a short period of time is expensive for one household. It's a bummer. Tampa Mayor Bob Buckhorn with the Ybor City Hampton Inn & Suites team and GaYbor District Coalition. 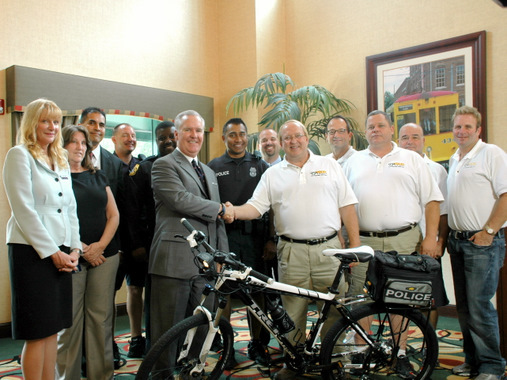 The groups donated a $1,700 state-of-the-art patrol bike to help support the police department's effort to increase bike patrols throughout the city. If Representative Mica and Senator Inhofe get their way, dedicated funding for three crucial programs -- Safe Routes to School, Transportation Enhancements, and Recreational Trails -- will be eliminated. The cost-effective federal investment in bicycling that is making our nation better will shrink dramatically. We can’t allow this to happen. I bike on Hillsborough Avenue in Tampa all the time because there is a decent bike lane from Central Avenue to the Veterans Highway, about a five-mile stretch. But here's a small segment of the bike lane on eastbound Hillsborough Avenue right before Florida Avenue that shrinks in width from about four feet to one foot. Check it out -- and the car that pops out of a side parking lot. I saw the car and was preparing to stop even before he jumped into the lane. The SHBC wraps up this morning's ride. Remember to join us on July 2nd for Brandon Bikeworks' Grand Opening for Good Riding, Good Eating, and Great Giveaways while watching the Tour de France’s 1st Stage. We're located at 6048 Winthrop Town Centre Ave., on the corner of Bloomingdale Blvd and Providence in Riverview, behind the Starbucks and Moe’s, next to The Acropolis Greek Taverna and Menchie's. 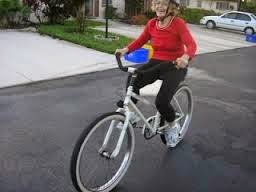 Go to our website at www.brandonbikeworks.com and click on our Facebook link to ‘Like’ us and RSVP for the event. For the ride cue sheet go to Map My Ride at http://www.mapmyride.com/routes/view/39504232/ . * And much much much much more!! We carry Trek, Gary Fisher, Bontrager, Zipp, Catlike Helmets, Hawk Racing, ISM Saddles, SMP Saddles, among many other popular brands. We have a neighborhood shop feel with friendly and courteous customer service, great prices and selection of bicycles, accessories and parts for everyone.